14:32 IST: In the air… But Rishabh Pant is safe. Ish Sodhi bowls an enticing delivery that takes a top-edge off Pant’s willow and Ross Taylor fails to grab a stunning catch. 14:08 IST: WICKET! Lockie Ferguson removes Shikhar Dhawan for 30. India have lost both their openers, with 71 runs to chase. Ferguson defeats Shikhar Dhawan with a pacy short-pitched delivery. It takes an top-edge off Dhawan’s willow and Colin de Grandhomme takes an easy catch. 13:55 IST: SIX! That’s massive. Mitchell Santner bowls too wide and Rohit Sharma picks it up for maximum with sheer elegance. 13:51 IST: SIX! Rohit Sharma overtakes New Zealand’s Martin Guptill to become the leading run-scorer in T20 International cricket. He is batting on 39 and has led India to 62/0 in 7.2 overs. He Rohit now has 2,277 runs to his name. 13:31 IST: In the air… but Shikhar Dhawan is safe. Lockie Ferguson attacks the Indian opener with a short ball and almost traps him. He plays an uncontrolled pull shot but gets two runs for the team. 13:19 IST: Rohit Sharma and Shikhar Dhawan are out in the middle to start India’s chase of 159 runs. Tim Southee to open the attack for New Zealand. 13:03 IST: WICKET! Ross Taylor run out for 42. Rohit Sharma’s direct hit does its magic. New Zealand are 153/6 in 19 overs. 12:23 IST: SIX! Wow! That’s massive. Colin de Grandhomme shows off his strength with that shot. yuzvendra Chahal has already conceded 16 runs in the first three balls of the over. 11:43 IST: WICKET! Bhuvneshwar Kumar strikes after conceding a boundary and a six. Tim Seifert departs for 12. The dangerous wicketkeeper-batsman had scored 84 runs in New Zealand’s 80-run win over India in Wellington. 11:30 IST: Time Seifert and Colin Munro are out in the middle to start New Zealand’s proceedings. Bhuvneshwar Kumar to open the attack for India. 11:18 IST: “I know we lost the last game, but chasing has been our strength. We have spoken about what we need to do with bat and ball. Hopefully we can get a win today,” Rohit Sharma says at the toss. 11:10 IST: “Usually a good batting surface here. It’s always a great opportunity to play against India,” Kane Williamson says after winning the toss. New Zealand win the toss and elect to bat first in the 2nd T20I. 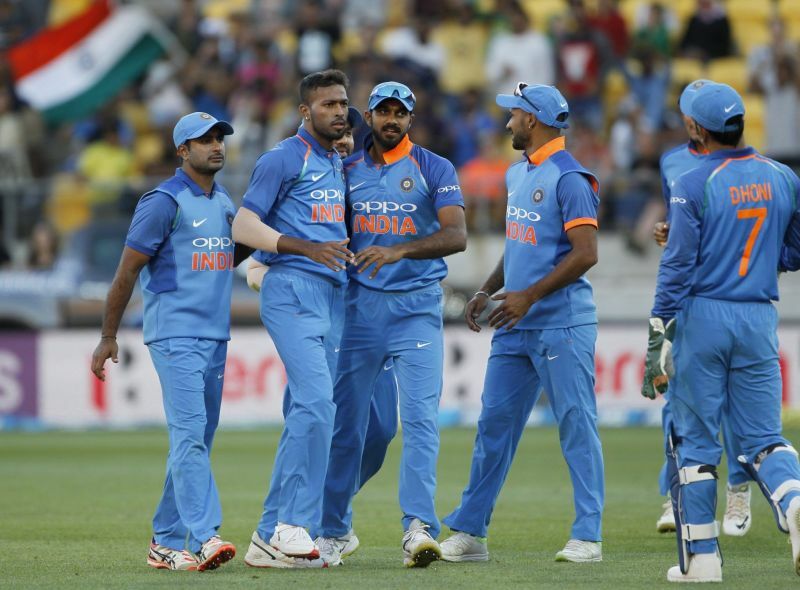 10:38 IST: Ahead of the start of the men’s clash, India women’s cricket team suffered a four-wicket defeat and lost the three-match T20I series to New Zealand women 0-2 with a match to go.